Red Cherry Beauty is the New Drug - Mary Jane are Multi-dimensional and multi-layered lashes to amp up that vintage, retro-chic in you. They are Cruelty-Free, Latex-Free, Handmade, Lightweight and very Comfortable. 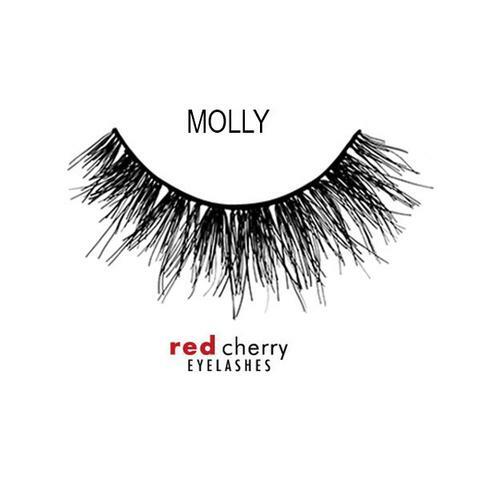 Red Cherry Beauty is the New Drug - Molly Jane are Multi-dimensional and multi-layered lashes to amp up that vintage, retro-chic in you. They are Cruelty-Free, Latex-Free, Handmade, Lightweight and very Comfortable. 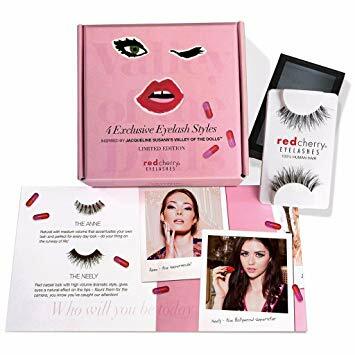 Red Cherry Beauty is the New Drug - Xannie are Multi-dimensional and multi-layered lashes to amp up that vintage, retro-chic in you. They are Cruelty-Free, Latex-Free, Handmade, Lightweight and very Comfortable. 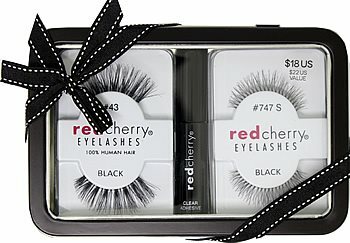 Red Cherry introduces the new Red Cherry Eyelash Gift Set with Brush Adhesive is the perfect holiday gift. The beauty junkies in your life will thank you for this cute little false eyelash gift collection! This gift set makes an ideal gift for you or someone else on your good or naughty list. The Blissful Eye, part of our Night Out Collection, gives your lash line a full, rounded look thanks to the extra length in the center. The highly textured design is perfect for providing you with volume without additional weight. These lashes are easy to apply and are durable enough to be used again and again. The Cleo, part of our Night Out Collection, were made to create that classic cat eye look. Feathery and handcrafted to give you maximum volume, these lashes are the perfect complement to a dramatic eye or just to give you a boost for your everyday look. This Special Limited Edition Collection is inspired by the book Valley of the Dolls! Celebrate the 50th anniversary of Jacqueline Sussan’s famous novel Valley of the Dolls with this limited edition set of faux eyelashes inspired by the iconic characters. Set includes The Anne, The Neely, The Jennifer, and The Jacqueline. THE ANNE Natural with medium volume that accents your own lash for a perfect everyday look – do your thing on the runway of life! THE NEELY Red carpet look with high volume dramatic style, gives eyes a natural effect on the tips – flaunt them for the camera, you know you’ve caught our attention! THE JENNIFER Light to medium volume, delicate, yet with a messy natural effect – so many men, so little time, you’re the doll the boys want, so play it cool! THE JACQUELINE Most dramatic of the four, extra high volume, with a Hollywood vintage feel – tweet it girl, you’ve got stories to tell.